President Donald Trump continued to perpetuate unsubstantiated claims of election irregularities Wednesday by promising a "major investigation" into what he described as "voter fraud." The announcement came after questions over Trump's repetition of a widely unproven claim that millions of "illegal" votes cost him the popular vote in the presidential election. Trump tweeted Wednesday morning that he would ask for an investigation into voter fraud, including alleged votes by undocumented immigrants, people who are allegedly registered to vote in more than one state and "those registered to vote who are dead (and many for a long time)." The president said that depending on the results of the investigation, he would call for "strengthening up voting procedures!" White House Press Secretary Sean Spicer said Wednesday afternoon that the voting probe would “not just” be about the 2016 election. "This about the integrity of our voting system," he said at the White House press briefing. Spicer had doubled down on the charges Tuesday, saying that the president believed the unsubstantiated claim that millions of people voted illegally, costing him the popular vote. Democratic-nominee Hillary Clinton beat Trump by nearly 3 million in the popular vote but did not secure the number of electoral college votes necessary for a victory. "The president does believe that," Spicer told reporters on Tuesday, just one day after pledging to tell the public "the facts as I know them." "He's stated that before, I think he has stated his concerns of voter fraud and people voting illegally during the campaign and continues to maintain that belief based on studies and evidence people have presented to him," he said. 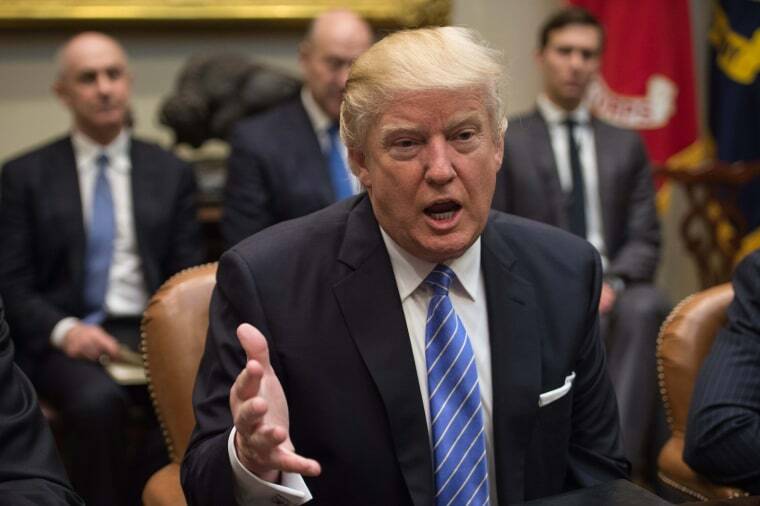 Two sources told NBC News that Trump spent the first ten minutes of a bipartisan meeting with congressional leaders at the White House on Monday talking about the campaign and repeating the allegation that 3 to 5 million people voted illegally. Those figures appear to come from two different studies, but authors of both have come forward to say that their studies do not support theories of massive voter fraud. A 2012 Pew report found millions of invalid voter registrations due to people moving or dying, but the report's author, executive director of the Center for Election Innovation & Research David Becker, said in late November that the study found no evidence of voter fraud. "We found millions of out of date registration records due to people moving or dying, but found no evidence that voter fraud resulted," he said. In fact, Trump’s examples in his Wednesday morning tweets all relate to voter registration issues, not fraudulent votes. A second study was a highly criticized work by Old Dominion University professors who found 14 percent of non-citizens said saying they were registered to vote. The study was based on a sample of a few hundred respondents. One of the authors said before the presidential election that Trump's campaign was exaggerating the study's findings. "Both sides of the debate on non-citizen voting have exaggerated our findings concerning non-citizen representation," political scientist Jesse Richman wrote. "There are many on the left side of that debate who have relentlessly sought to discredit our results and want to push the level of estimated non-citizen participation to zero. On the right there has been a tendency to misread our results as proof of massive voter fraud, which we don't think they are. Our focus has been on the data, rather than the politics." The unsubstantiated claim was furthered by conspiracy theorist Alex Jones on his website Infowars. But Trump's comments contradict what his own lawyers argued in December, while objecting to Green Party candidate Jill Stein's Midwestern recount efforts. At the time, his legal team said in filings objecting to Stein's recount efforts that there was no evidence of voter fraud in the presidential election. "All available evidence suggests that the 2016 general election was not tainted by fraud or mistake," Trump's legal team said in their objection to the Michigan recount. When asked about that statement, Spicer said Wednesday that there may be states where that was "not necessarily the case." "I think there’s a lot of states were we didn’t compete in where that’s not necessarily the case," he said at the White House press briefing, citing California and New York as possible examples. "We didn’t look at those two states in particular," he said. "I think when you look at where a lot of these issues could have occurred in bigger states, that’s where I think we’re going to look but I’m think there will be more on that as the week goes on and we’ll be able to examine that further," he said. Heather Gerken, a professor of law at Yale University and expert on election law, told NBC News it was "completely natural" to have people on voter rolls in two states or for some people to remain on the voter rolls after they have died and stressed this did not equate to actual fraudulent voting. "To equate that with voter fraud is irresponsible," she said. "They're completely different issues." Gerken added that people moving to a different state or grieving loved ones not thinking to call election officials were often the cause of such voter registration issues. Trump's own chief strategist, Steve Bannon, was registered to vote in both Florida and New York City until Wednesday, local election officials told NBC News. Bannon was removed from the voting rolls in Sarasota County, Florida, on Wednesday per notification from the New York City Board of Elections, an official with the Sarasota County Supervisor of Elections said. Trump's youngest daughter, Tiffany, is currently registered in both New York City and Philadelphia, according to state election records in New York and Pennsylvania. Trump was studying in Philadelphia, where she graduated from the University of Pennsylvania last May. The finding was first reported by Heat Street. Gerken said that there was no evidence at all to support claims of mass voting fraud in last year's election — and the kind of voter fraud Trump claims would require highly coordinated nationwide efforts. Michael Waldman, president of the non-partisan policy institute The Brennan Center for Justice, said in statement Wednesday morning that “There is no evidence of massive voter fraud — none." "The notion that millions of people voted illegally two months ago, and nobody noticed, is preposterous on its face," he said in the statement. On Wednesday morning, Ohio Secretary of State Jon Husted responded to Trump, tweeting that his state conducted a review four year's ago and was already conducting a state-wide review of the 2016 election. "Easy to vote, hard to cheat," Husted said in the tweet. Trump's comments have been criticized by officials on both sides of the aisle, with GOP Senator Lindsey Graham pleading with Trump to stop repeating the claim. "To continue to suggest that the 2016 election was conducted in a fashion that millions of people voted illegally undermines faith in our democracy," Graham said. And Sen. John McCain, R-Ariz., said on MSNBC's Morning Joe on Wednesday that there was "no evidence" to back up Trump's claims. "I think that those who allege that have to come up with some substantiation of the claim," he added. Rep. Elijah Cummings, D-Md., told MSNBC that the Oversight the House's Committee on Oversight and Government Reform was sending a letter on Wednesday to 50 attorney generals all over the county "who have basically said that there is no real voter fraud." "The thing that I worry about with this argument about voter fraud is it gives the Republicans and others another tool and another reason to justify to the public of denying people the right to vote," he said. The National Association of Secretaries of State, which includes many Republicans, also took issue with Trump's claim. "We are not aware of any evidence that supports the voter fraud claims made by President Trump, but we are open to learning more about the Administration's concerns," the group said in a statement released yesterday. "In the lead up to the November 2016 election, secretaries of state expressed their confidence in the systemic integrity of our election process as a bipartisan group, and they stand behind that statement today."